"Holistic Wellness In The NewAge"
on Amazon For Over 1 Year Since Launch ! In the book "Holistic Wellness In The NewAge" we showcase various therapies in the Mind, Body & Soul domain... This book covers the various topics of Holistic approach to wellness and the subject of energy medicine. The book is literally a Healer's Handbook! Ever wondered what all alternative therapies are about? There are so many to choose from... Which one is really for you!? There are many misconceptions and myths related to each of them that it creates only confusion in the seeker's mind. In this world of New Age, where half of the "healers" are looking for a quick money-making solution, we bring you a genuine informative guide of healing modalities and therapists by the means of this book. Starting with an insightful article by PadmaShree Dr. B.M. Hegde about Wellness VS. Illness, the book kickstarts into a series of motivational articles and therapies. There are four major categories in this book. The Belief Approach- includes origin and history of belief, the journey of Psych-K, harnessing the universal energy of Reiki, Theta Healing, aura healing, EFT and articles on physical fitness! The Body Approach includes ozone therapy, benefits of PEMF, crystal healing, importance of our own breath and food, manifesting money and healing bodily issues by acupuncture and ECP. The Being Approach includes exploring hypnotherapy, Past life regression, practical tips using FENG shui, colour therapy and so on. The book was formally released at the NewAge Conference On Energy Medicine & Holistic Wellness organised jointly by NewAge Wellness World & The NewAge Foundation in 2015 By the keynote speaker Padam Bhushan Dr. B.M Hegde. Ever since we announced this book it had taken a life of its own and had been attracting all the right people who have worked hard to contribute to enrich its content. 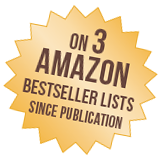 It has now become the #1 Besseller under the "Wellness" category on Amazon. Jane Kirby (Global facilitator for The NewAge Foundation and developer of “The Willingness Process” for healing.